Provide comfort for the family of Marjorie McCombe with a meaningful gesture of sympathy. 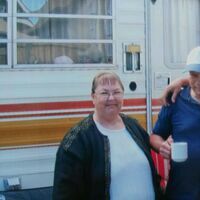 It is with great sadness the family announces the sudden passing of Marjorie Ellen McCombe 74 of Rainy River ON on February 6, 2019 at the La Verendrye Hospital Fort Frances, ON. Marjorie was born in Parry Sound, ON to Kathleen and Harold McCombe of Bracebridge ON. Marjorie met Norman Spooner while she was working in Thunder Bay. They spent some time in Cornwall, ON then moved to Rainy River where they have lived for about the past 10 years. She enjoyed working with both fresh and artificial flowers, often arranging beautiful gifts for family and friends. Marjorie took up the art of taxidermy and she also enjoyed fishing, hunting and the outdoors. She will be lovingly remembered by her husband Norman, her children Terry (Dorothy) Robinson, of Thunder Bay; Jane (Andre) LaLonde of Nipigon; Theresa Robinson of Thunder Bay; and her wonderful grandchildren and great-grandchildren. She is also survived by her sister Linda (Ivan) Fidget, numerous nieces and nephews. She was predeceased by her parents, her daughter Tracey, and her siblings. As per Marjorie wishes, a private family gathering will take place in her memory at a later date. If desired memorial donations may be made to the charity of your choice, c/o Northridge Funeral Home, Box 89, Emo, ON P0W 1E0. To plant a memorial tree in honor of Marjorie Ellen McCombe, please visit our Heartfelt Sympathies Store.